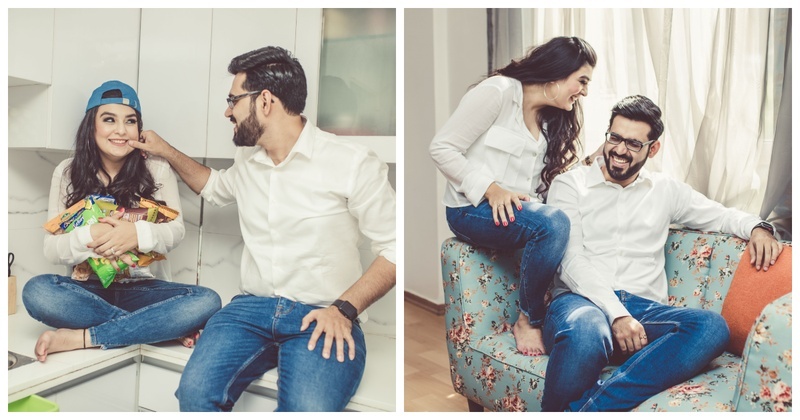 This couple's 'Homely' pre-wedding shoot will make you go aww! Aren’t we all guilty of stealing kisses or some PDA at the parks? So glad these guys removed the awkward element and chose their society garden to show off their love. Where them aunties at? So pupper, who is your favourite? Looks like the groom is trying to bribe the puppy! What’s love without the light moments? Also, whattey preeettyy couch! Coffee, book and you. Ah! The perfect concoction.